Acceptance of the last Annual General Meeting Minutes: Motion to accept Janine Thomson, 2nd by Terry McKee, carried. President’s Report: Kelli Hayhurst stated that 2018 had a great turnout for the rides and thanks to the fellow board members for all their hard work and to the membership for helping to make 2018 a stellar turnout. Vice President’s Report: Linda Cruden had also stated that it was a good year and thanks to all who helped to contribute. 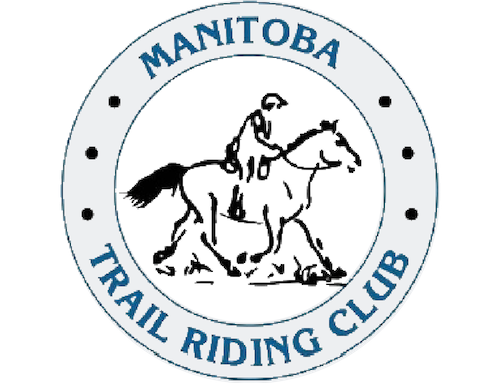 Manitoba Equestrian Championships Review: Linda Cruden commented that it was not as well organized as in previous years. The weather although better than 2017 was still cold and wet. Fundraising and Silent Auction Donations: Linda Gillies has been collecting and organizing auction prizes for the Bud Spud and Bird on January 19, 2019. Iris Oleksuk has also agreed to collect accept prizes for the silent auction to be held at her place. She also also made copies of the letter to hand out for those that will approach business and communities for silent auction prizes. Junior Definition: Junior definition is 16 yrs of age and under of the current ride season and must ride with a sponsor. 17yrs and older as of January 1 of the current ride year will be classified as seniors. For those that have not reached the age of 18yrs (majority) as of the date of the ride will still require a waiver to be signed by the parent/legal guardian at registration. Possible Merger: MTRC/DRM Board of Directors meeting resulted in tabling the discussion for 1 year. It was noted that some of the membership were disappointed that they did not have a say in the discussion and were not able to vote on the subject. Nomination and Election of Officers: Mary Anne Kirk and Kelli Hayhurst will continue to their second term. Linda Cruden has agreed to be chairperson for the nominations and Kelli Hayhurst and Mary Anne Kirk are assigned as scrutineers. Iris Oleksuk, Angela Roberts and Terry Mckee have been elected to the board. Bylaws: A copy of the bylaw changes are attached and highlighted. Motion to accept by Janine Thomson, 2nd by Linda Cruden, carried. Susan Heald has agree to update the bylaw changes to reflect gender neutral and will have complete for the 2019 Annual General Meeting for acceptance. Motion to accept by Janine Thomson, 2nd Linda Cruden, carried. Website: Emil Kucera has suggested if anyone is interested in looking after the website. The will be deferred to the January 2019 meeting. Membership and Ride Fees: It was discussed if any changes were necessary for the 2019 season and all agreed to leave the fees for both as is. 10 and/or 15 Mile Training Division: It was discussed as to whether to keep both the 10 and 15 mile division rides and it was accepted to keep both but that the 10 mile will collect mileage but no placing and the 15 mile training division will include placing. There will be no 2-day cumulative for the training division, as this is a training division. expected numbers (volunteers, participants, crew) NLT 1 week prior to the event for the purpose of food, gifts, etc. I would like to get donated prizes for the top three placings in each category and all juniors. If anyone has anything to donate or knows someone who can help out please let me know, any assistance is appreciated. Non-members add $10 day fee, late entries add $10. Juniors minus $5. I would like this event to be a fun, end-of-season ride that offers something a little different. Any ideas or suggestions are welcome! Carrie Schellenburg-Wilson was questioning about the elevator rides and the possibility of maintaining the placing from the original entry and just adding on mileage after. To be deferred to the January 2019 meeting. It was discussed that if 2 day rides are done the minimum number of entries are required for both days to continue otherwise it will just be a one day ride. Motion to accept by Kelli Hayhurst, 2nd by Linda Cruden, carried. Division Awards: Training, Novice and Open divisions will remain the same no change. It was decided that there will be a junior and senior placing for each separate division. Motion to accept by Kelli Hayhurst, 2nd Emil Kucera, carried. Volunteer recruitment: Tammy Storie has agreed to take on this position for all the rides. Vet Recruitment: Susan Heald has agreed to take on this position and will discuss will each ride manager to see if they have a preference. Volunteer Appreciation: Suggestions for other ideas for appreciations will be deferred to the January 2019 meeting. Ride Manager and Trail Marking to be two different Positions: This topic will be deferred to the January 2019 meeting. Training Clinic: The discussion to have a training clinic for volunteers and learning to take P&R’s deferred to the January 2019 meeting.